Every insurance agent’s goals for 2018 are different. 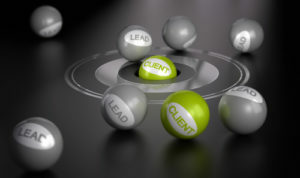 But most would agree that generating more customer leads is near the top of their list. One way to increase not only the quantity but also the quality of your leads is to improve your digital marketing efforts. 1) Focus on content marketing. This entails producing and distributing digital materials such as blog posts, informational videos, interactive charts and social media posts that are actually useful for your target customer. The average person doesn’t understand all the ins and outs of the insurance industry, so creating content that will help them understand what kind of coverage they need and how to get it is extremely helpful in building relationships with potential customers. For example, a chart that translates insurance industry jargon into beginner’s terms would be very useful for a new buyer. Providing these types of free resources that offer real value to consumers goes a long way in terms of establishing trust, which is essential for converting a prospect into a client. 2) Connect with consumers via email. In 2017, 3.7 billion email users worldwide collectively sent and received roughly 269 billion emails per day, according to Statista. Clearly, agents need to leverage email in their digital marketing strategies. Effective email marketing depends on organizing your lists by message, as not every email is a good fit for every client or prospect. An email with information on an auto insurance deal for new high school graduates would be a great way to generate leads, but it should only be distributed to recent graduates. In addition to making sure emails are targeted, it is also important not to overdo it with the number of messages you send. Nobody wants to receive unsolicited emails from the same sender several times a day or week. Be selective and mindful of the recipient’s time, so they don’t tune you out or classify your messages as spam. 3) Advertise on vertical search engines. Leverage insurance search advertising to reach potential customers that are in the process of looking for policies. Unlike traditional search engines such as Google and Bing, vertical search engines are specific to a single industry. For example, Hotels.com and Hotel Tonight are vertical search engines that consumers rely on to find great hotel rates. And, ConsumerAdvocate.org and Quotelab.com are examples of vertical search engines that aggregate insurance rates and plans from a variety of providers. Placing vertical search ads on such sites enables you to target consumers who are actively seeking a quote. While you might reach a broader audience with an ad on Google search, the audience you reach through a vertical search ad is more likely to convert. This article originally appeared on Independent Agent, the authoritative source of information for professionals who sell insurance for independent agencies. IA Magazine primarily serves property-casualty independent insurance agents and brokers and is a benefit of membership of the Independent Insurance Agents & Brokers of America. Thank you for your request for information. 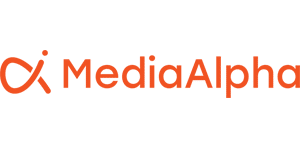 Someone from MediaAlpha will contact you shortly.